Description The Cargo Bridge is back! Build a bridge and test your construction skills. Now, there are more levels, more bridge connections, more cargo and more fun! Design a bridge on a blueprint and test it when you are done! Your workers will use the construction to get cargo located at the other side of the valley, and bring it back. Your goal is to collect all items in each level. - 60 levels across 3 colorful themes, with more to come! 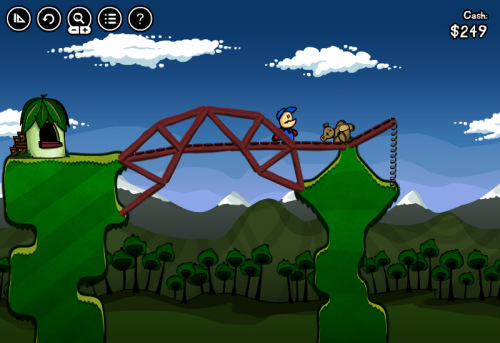 - 6 tools for bridge building: walks, wood, steel, rope, springs and TNT! - New gameplay elements like bee swarms, space portals and crane hooks!